Police have been criticised by an independent watchdog for a botched raid that led to the death of reggae star Smiley Culture, it was revealed on Tuesday. 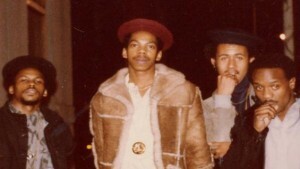 The Metropolitan Police Service (MPS) claim that Smiley Culture, otherwise known as David Emmanuel, died after stabbing himself through the heart during a drugs raid at his Surrey home on 15 March 2011. The Independent Police Complaints Commission (IPCC) conducted an investigation into Emmanuel’s death. The summary of their final report – the coroner has asked that the full report is not made public or shared with Emmanuel’s family – condemns the raid as significantly flawed and compels the MPS to overhaul the way they plan and execute future drug seizures. But the commission also concluded there was no evidence to justify pursuing criminal charges against any of the four officers at Emmanuel’s house when the singer, 48, is alleged to have killed himself. “The investigation has found no evidence that a criminal offence may have been committed,” IPCC commissioner Mike Franklin announced in a statement. “The investigation [also] found there were no individual failings which, for the purposes of the [Police (Conduct) Regulations 2008], amounted to misconduct.